Apples are so popular and loved by kids, and the healthy fruit is also a versatile ingredient in a variety of delicious recipes that the entire family will love. On a cold winter day, this organic apple cider served up in edible apple cups will warm you up as a delightful drink. 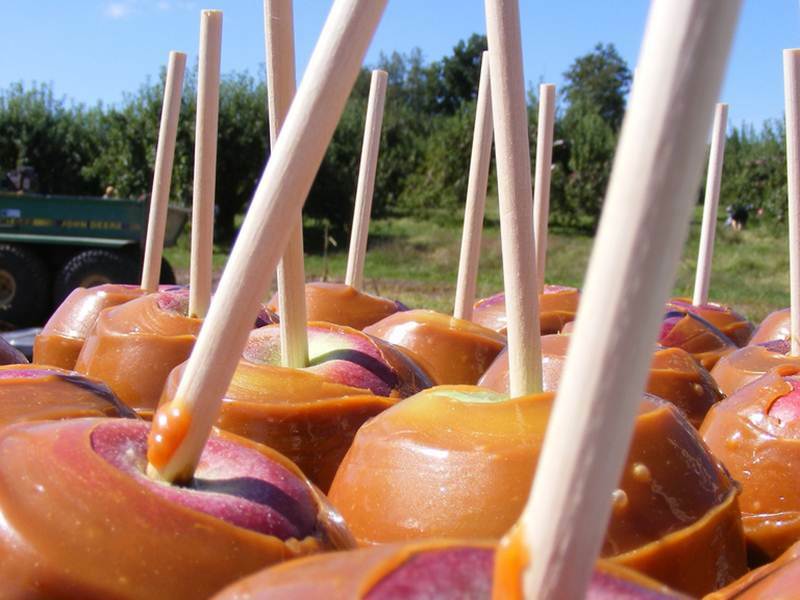 These homemade caramel apples are a decadent sweet treat with a nutritious foundation. You can easily bake up a batch of these tasty homemade apple chips — but beware that they’ll be devoured instantly! Pressed for time? This delicious apple crisp bakes to perfection in less than 20 minutes. Kids and adults alike will love digging in to their very own miniature apple pie. Sauteed apples make a nice side dish for holiday dinners or for a comforting treat. Teach your kids the true meaning of an old fashioned recipe by making this organic apple pie with butter crust together as a bonding activity. Apples are so popular and loved by kids, and the healthy fruit is also a versatile ingredient in a variety of delicious recipes that the entire family will love. On a cold winter day, this organic apple cider served up in edible apple cups will warm you up as a delightful drink. These homemade caramel apples are a decadent sweet treat with a nutritious foundation. You can easily bake up a batch of these tasty homemade apple chips -- but beware that they'll be devoured instantly! Pressed for time? This delicious apple crisp bakes to perfection in less than 20 minutes. Kids and adults alike will love digging in to their very own miniature apple pie. Sauteed apples make a nice side dish for holiday dinners or for a comforting treat. Teach your kids the true meaning of an old fashioned recipe by making this organic apple pie with butter crust together as a bonding activity.